The Cyber Caliphate, a hackers group set up by British ISIS member Junaid Hussain, urged its supporters and followers to hack Twitter accounts in order to take revenge of Husain's death. Over 54,000 Twitter Accounts Hacked! As a result, the hackers were able to hack more than 54,000 Twitter accounts. Most of the victims targeted by Jihadis appear to be based in Saudi Arabia though some of the them are British. One of the victims based in Saudi Arabia, whose Twitter account was compromised by the ISIS extremists, said, "I am horrified at how they got hold of my details." 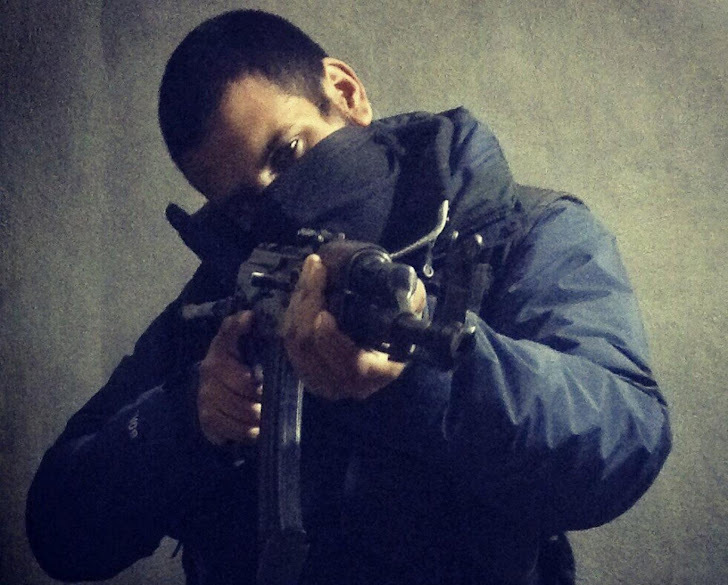 Hussain was a British hacker who rose to prominence within Islamic State Terrorist group (better known as ISIS) in Syria as a top cyber expert to mastermind the ISIS online war before a US drone killed him in August. After Hussain's death, Cyber Caliphate (@cyber_caliph), which took control of the official Twitter and YouTube accounts of the US military's Central Command (CENTCOM) in January, reappeared on Twitter last Sunday. 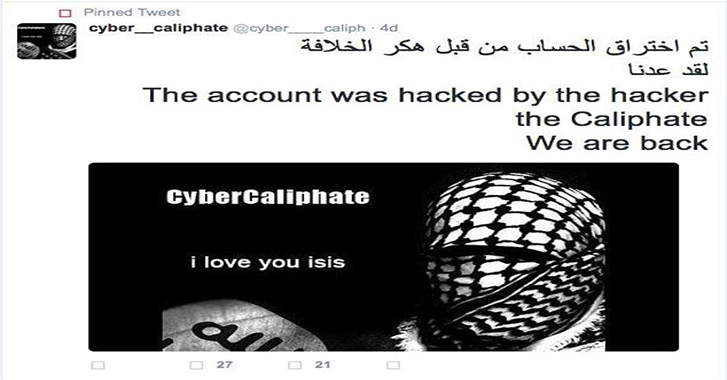 "We are back," Cyber Caliphate declared in an opening tweet. Before its accounts got suspended by Twitter, Cyber Caliphate tweeted a link to the database that contained stolen Twitter accounts, including passwords, although the data could not be verified yet. The incident came just a day after another hacking group, Crackas With Attitude (CWA), claimed to have gained access to a Law Enforcement Portal that contains arrest records and tools for sharing information about terrorist events and active shooters.